For the third time in 2018, the Buccaneers gave up at least 30 points in the first half of games, and once again Sunday it lead to a downfall, this time in a 42-28 setback to the NFC South rival Carolina Panthers. The Bucs with the setback fall to 3-5, 1-4 away from home. The game was not a total loss, as QB Ryan Fitzpatrick once again played the role of a superhero who just didn’t have enough, as he led the Bucs back to within a touchdown with still an entire quarter to play, but a late pick did him and the team in in the 14-point loss. 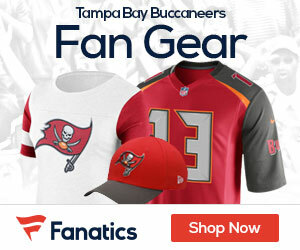 Fitzpatrick finished with 243 yards passing and four touchdowns — two each to Adam Humphries and O.J. Howard — and led the Bucs back to within 35-28 before it was all said and done. The Bucs defense is doing the team any favors, as Cam Newton and the Panthers offense ran all over them in the first half, scoring on five straight possessions after a first possession punt. Carolina running back Christian McCaffrey had a big day for the Cats, as he put up 157 total yards and scored twice. 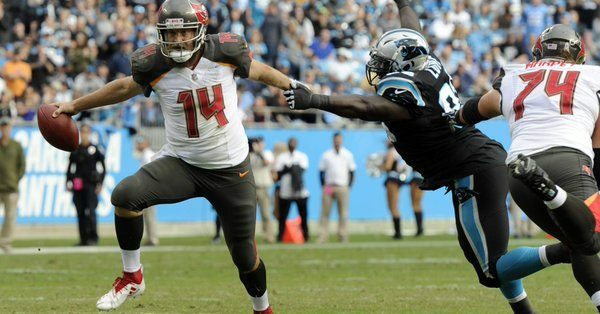 “We go out, we get behind, we get killed in the second quarter, then rally like (heck) in the third quarter and then everybody thinks we’re back in it and then we fade off at the end,” Bucs coach Dirk Koetter said.